So you have an old computer that you’d like to install Adobe software on but you don’t want to purchase another copy…or maybe you’re a starving student who just purchased your first camera and doesn’t have any more cash…or maybe you’re tired of torrenting software. 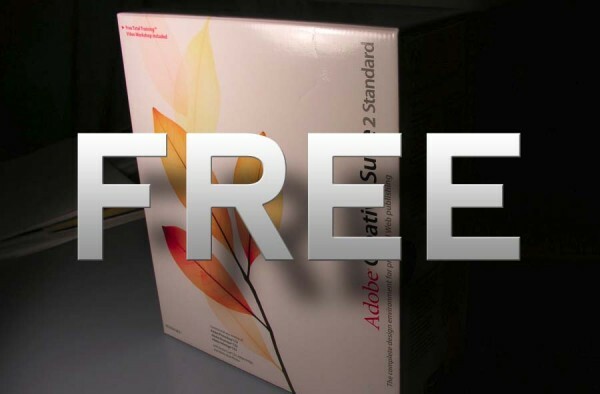 Regardless, free is a very easy price to pay for Adobe software. Though it’s a few years old, it still runs great and opens up a world of professional tools for shooters who might otherwise be using less than pro software. Pick up your copy here. You’ll need to use your Adobe ID or sign up for a free one. …However, please note that you are only legally entitled to download and install with that serial number if you already have a valid license to the product! So there you go, there’s no such thing as a free lunch. That said, ever since Adobe switched to the “Creative Cloud”, it’s cheaper now than ever to get a full copy of the current Creative Suite CS6 which means no compromises and current features.